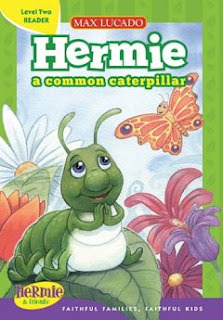 This attractive children book is about the story of Hermie and his friend Wormie. Hermie and Wormie have always felt common. They don’t have stripes or dots, they aren’t very strong, and they can’t find anything special about themselves. But every time they pray, God tells them that He loves them all the time just as they are and that He isn’t finished with them yet. When Hermie becomes a beautiful butterfly, he realizes just how special God’s plan is for him! 1. Sometimes we limit God -- we had the misconception that God cannot make something beautiful out of the "common". That's when the common is placed into the palm of the uncommon God. 2. We are impatient. We wanted God to answer us, and answer us NOW! But God has His purposes for us. And He will do it in His time! 3. We wanted to be someone else other than the person God has made us to be. We are unique in our own identity and our security should rest in the confidence we have in Him. We should be comfortable in our self-image. In short, this is a great book to be read together with my kids.